We’ve heard time without counting like mother like daughter or like father like son. In deed these are not mere saying that should be swept under the carpet. They have deeper meanings that should engage the attention of parents, so that parents can put up the correct behaviors for their children to emulate. Whether you accept it or not your children are watching and observing all that you do without questioning the appropriateness of certain behaviors of yours because of the limitation imposed on them by the fact that you are their parents. So whatever you do, ask yourself whether you would be proud to see your child exhibiting such behaviors in adult life. Please find below the 8 qualities a 6 year old girl likes about the mother I thought is worth sharing with you. Good meal announces itself no matter who cooks it. This kid is from a good home who has visited quite a number of restaurants and eat a variety of food but none of the food according to her can be compared to what the mother cooks at home. Don’t think your child can’t differentiate good food from some of the so called fast food. Can your child be proud of you and say mum is the best cook in the world? Do you dislike cooking because you can quickly fix a fast food for the family? What lesson can your child learn from you with regards to cooking? Cooking is a ‘learnable’ skill, learn how to cook and occasionally send the family out to your favorite restaurant.. I like the way she dresses to exhibit her beauty to the world. I heard a beautician who was talking to a client “ dress not only to impress but to leave an impression” When it comes to dressing my sisters,please don’t compromise with it at all because you may not have the second chance to make the impression you failed to make in the first place. There’s a saying that anytime you are going out, dress like a king because, you never know who you are going to meet on your way. If this young child can tell how well the mum dresses then you should be examining the way you dress when going out to meet other people. As a woman your appearance say everything about you and your home life. What impressions do you want to live in the minds of people who meet you for the first time? If there’s anything worth thinking about, think about this. I am not surprised to hear this. As a matter of fact, women love and show so much concern for their family especially their kids. They sometimes “sacrifice their husbands” for their kids. It’s a subject matter to be discussed later on. “Why most women transfer attention from their husbands to their children” I want to hear from women reading this post. I am a living testimony of the immeasurable contribution my late mother made towards our education including selling her small private business to see us through college. Women really are at the center of the family and they deserve commendation by their husbands and children. We say a big thanks to all hardworking women across the globe. If you are a mother reading this can your family make the same statement about you? Do you really care about the family and your kids or you only think of yourself and nothing else. Do you care about your husband and his needs? Be someone your child can describe as a caring mum. Mothers are indispensable when it comes to disciplining their kids. They have their own way of doing this. What’s discipline and why are a lot of parents failing in this regard? Discipline simply means to teach someone to obey rules and control their own behavior. E.g. I am not afraid to discipline my kids. Many parents are seriously failing in this respect when it comes to discipline. You need to work closely with your husband to discipline your children no matter how much you care and love them. Discipline is not punishment as some child rights activists are championing. When you teach your child not to leave the fridge door open after picking something from the fridge you are teaching him or her to obey how things should be done properly in the home. Is this too much to teach a child. Do we call this punishment! Dear parents, your child is giving to you to train and not for others to tell you how you should raise your child. You’ve that right to train your child to fit into any where besides the home. It’s not only adults who get worried and depressed as a result of everyday hassling brought about by demand and supply matrix of life. Kids equally get depressed when things are not going well academically in school. Most children who scored low grades at school get worried when they compared themselves with their counterparts in the same classroom. A good mum should read the facial expression of the child and calm him or her when things didn’t go well in school. Every child wants to fit into the ‘peer group’ so when he or she falls short of the expectation of the group, depression can set in and if not handled properly it can’t affect the child’s academic and social life in the future. As a mother you should always be there for your child when times are bad for him or her. 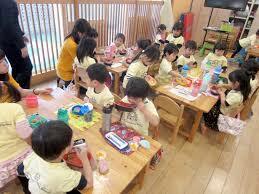 Kids get excited when they know that you are interested in what they do at school. Yes as a professional teacher and a father of four kids I know what I am talking about. This child, who was granted interview by Fashion Magazine after the birthday party, revealed her likes for the mum for the support the mother gives her. This’s not pre-arranged interview but she speaks from her heart as a child. Are you among the responsible mothers who provides the needs of their kids in a timely fashion? You don’t need to have so much cash to provide the needs of your children. If you need to change his or her school shoes, bag or buy a new school material for the child, do you do it timely or unless the child cry and put pressure on you to do so. Kids get discouraged when basic needs are not provided on time for their school work. Don’t forget your child doesn’t want to appear foolish and needy before the school mates. Anytime you have identify the need of your child, do it timely. Plan for the things he or she may need during vacation and provide them in a timely fashion. Your child is keeping record of all the good things you are doing in his or her life and they would reciprocate them when they grow up.Don’t underrate the intelligence of your child when it comes to keeping information. They have a dossier of all that have been happening in the home and with your spouse. Do you hear that? The mum smiles even when she has a course to be angry. That’s a special skill to adopt in order to correct your kids in love. Don’t behave like a “terror” in the home and subject your kids into intimidation. You don’t need to put on a fearful face and scream on them in order to send your messages across. Some parents lack this skill and create a “monster-like environment” in the home. When you exhibit such behavior, you would succeed in making your kids timid and coward. They would lack the capacity to take initiative on their own because every decision is taken by you. The young girl under discussion has a mother who’s a lawyer by professional and learns about child psychology to enable her deal with her three kids in the midst of the abundance in the home. The dad of the girl works with the central bank and earns a reasonable income to provide enough for the family but they are apt in dealing with their kids without leaving them to chance. How do you deal with the offences of your kids? You must learn how to use diplomacy to handle their mistakes. If you are too harsh you would fail to make the impact you want to make and when you sweep their deviant behaviors under the carpet, you would destroy their future. Read books about child psychology in handling deviant behaviors of young children. We’ve discussed 8 practical ways a mother can make the needed impact in the lives of her kids. I hope you have learned something to practice in your dealings with your kids. Adopt the change gradually and surely you would make the needed impact in your children. Remember you kids should be able to fit into the big society irrespective of wherever they find themselves.